Jason Sudeikis attends "Epic" New York Screening on May 18, 2013 in New York City. 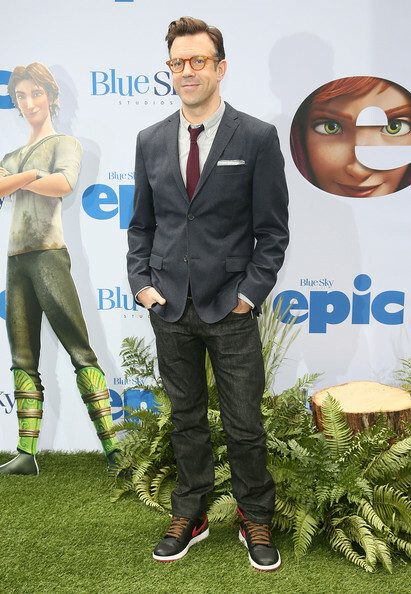 Jason Sudeikis chose a pair of classic dark-wash jeans for a more relaxed look at the screening of 'Epic' in NYC. Jason Sudeikis chose a sleek and casual look with this gray two-button blazer paired over a button down with a skinny cranberry-colored tie.